of Guangdong. It includes a container terminal and a terminal for high-speed ferries connecting Zhuhai with Shenzhen in mainland China and Hong Kong. It is also developing into a transport hub with regular coach services connecting the port with various cities west of the Pearl River such as Jiangmen and Shunde. I work as business guide, interpreter and sourcing agent since 2006, and I know well the antique furniture wholesale markets and factories in Guangzhou, Foshan, Zhongshan and zhuhai. 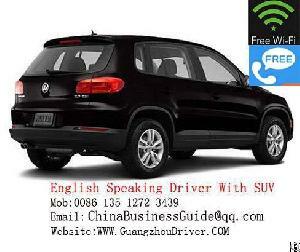 I can be your business guide, interpreter and driver when we work together, also I will offer you FREE WI-FI and Domestic phone call . Any questions please feel free to contact me Now.